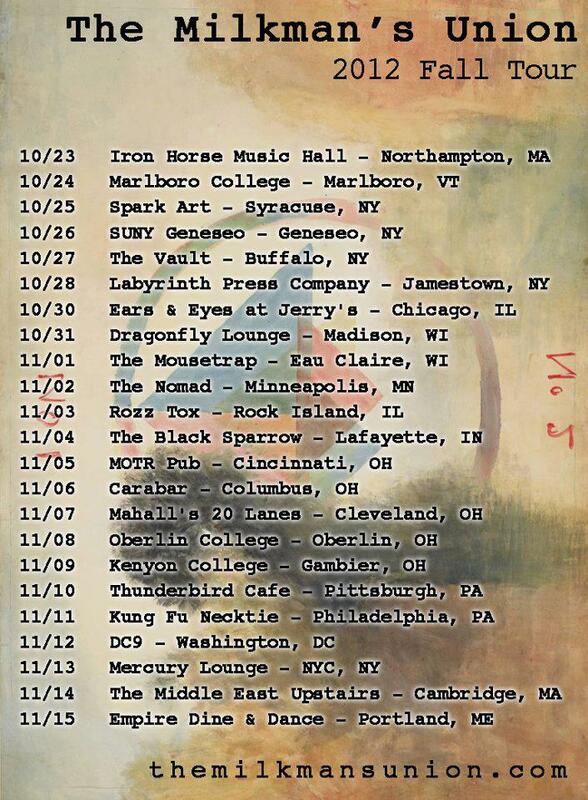 Portland band The Milkman’s Union start their fall tour today with a show at Iron Horse Music Hall in Northampton, opening for Brown Bird. They’ll be heading out West then back through NYC over the next few weeks. Follow the band on Twitter for what we’re sure will be amusing updates along the way.